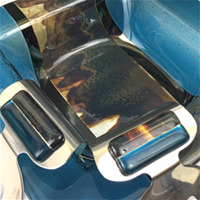 A best selling brand, Me 2 U provides beautiful, affordable and functional fused glass art for the home and gift-giving! I've been told many times that my 11" salad bowl with matching stainless steel servers is the "World's Best Wedding Gift"! 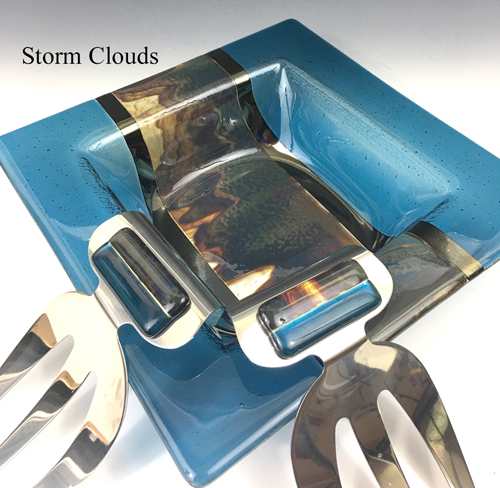 The Storm Clouds style features steel blue, marbled brown, tan, cream and blue glass and accented with gold metallic glass. Absolutely gorgeous! No two exactly alike.